India has such a diverse landscape and cultures that you must travel around to get a real flavour of the country. A great way to explore if you are a keen activity lover is by bike. There are many different cycle routes to choose from in India and this is a great way to see the beautiful countryside. You may decide to hire a bike during your trip or you might want to bring your own. Maybe you will choose the best hybrid bicycle for your trip, a mountain bike or a road bicycle. But whichever you choose, make sure it is up to standard for the type of cycling trip you are undertaking. This is not an easy one. Be ready for an awesome but tough cycling covering over 600km and passing some amazing landscapes. The high altitude can be tricky at times but the views and ancient sights to be seen along the way make the journey worth it. You will pass through mountain ranges including the Himalayas, try some delicious street food and local tea. As well as ancient temples and Buddha statues. The whole trip will take around 12 days to complete. It is best to book with a reputable tour company to make sure you are staying in good accommodation and the tour and groups are well planned. For females it is especially important to remember safety in numbers and to stay with your group. 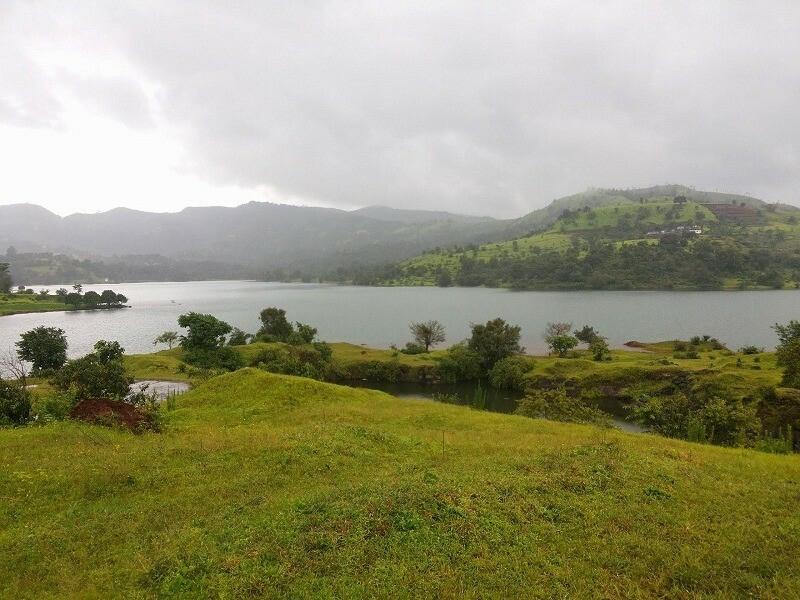 For an easier ride even suitable for beginners, Pune to Panshet Dam is the one to choose. Covering only 45km this pleasant ride can be completed on a day tour and is enjoyable at almost any time of the year. The reason this ride is so popular is because the scenery is so lush and green, and the roads are easy to navigate even for the beginner cyclist. You will pass through Sinhagad, the old fortress and villages along the route before arriving at your destination. If you are staying in Pune this is a good day trip to book to get out and enjoy the countryside surrounding the city. One that both locals and tourists love. A popular circuit that is only 30km long, visitors come here for the spectacular scenery. Ride along the crystal-clear waters of the Pangong lake and the snow-capped Chang Chemo mountain range. Visit the village of Spangmik and other tiny villages along the south lake shore. These are the summer homes of the nomadic herdsmen of Tibet, Chang-pa. If it is stunning photographs you are after then this is the place to go, everywhere you look is very Instagram worthy. Whether it is an active holiday you are after or just a day of cycling you can choose your options in Kerala. There are different routes to choose from including backwater trips with homestays lasting two weeks. The spice trails, Alleppey, Edamalyar forests, Thattekad Bird Sanctuary and the Periyar River are all options to choose from on your cycling route. Visit tea estates and maybe even meet elephants along the way. Organised tours are the best way to explore this backwater part of India so do your research and book on the best tour for you. In this part of India, there are many different routes to choose from. Whether you want to travel to cities such as Jaipur-Jodhpur-Udaipur and Pushkar or prefer the sanctuary of the National Parks. There is a tour for you. For natural scenery try the Keoladeo Ghana, Kaila Devi or Ranthambore National Parks. You may even get a chance to see the famous Tigers in Ranthambore. Or if it is architecture and history you long to see then the pink buildings in Jaipur or the sacred Ghats at Pushkar might be more your thing. A cycling tour in Rajasthan will be an amazing adventure in India. This is another difficult ride which can take around two weeks to complete. But you have the sights and sounds and the end goal of the beaches of Goa to look forward to. Visit Mysore, Hassan, Chikmagalur, Lokavalli , Banavasi and Gokarna on your journey. Enjoying the different cultures, architecture and scenery as you ride by. The whole distance covered is almost 700km so you will be ready for a relax at the end. Are you looking for the best cycle routes in India? If you are worried about travelling in India, then you should definitely book on an organised tour to make your travel plans easier and safer. There are many different companies and routes to choose from so consider your needs, how long you want to travel for and which areas you want to visit. Then just book and go!